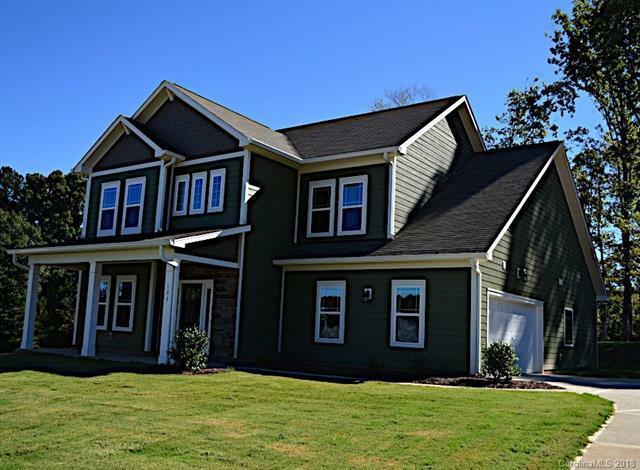 Craftsman style home in the new Autumn Brook community located just outside of Troutman and close to Lake Norman. Easy access to I77. Main level features a study, GR, kitchen, dining, gas fireplace, powder room, laundry and the master suite. Yes! Master on the main level. The master bath area includes walk in closet, tub, shower and dual vanities. Kitchen features granite countertops, pantry and center island. Upstairs features 3 additional bedrooms, generous walk-in attic storage, full bath and relaxing loft area. Hardwood flooring and carpet throughout living areas.Large lots with small town charm, peaceful setting and excellent Troutman schools. Located just outside of Troutman and only minutes to Golf and Lake Norman State Park which features miles of walking trails, on-site camping, parks, playgrounds, bike trails, and lake access. You will find lots of shopping, dining and attractions in Mooresville and Statesville less than 15 minutes away. Sold by West Norman Real Estate.